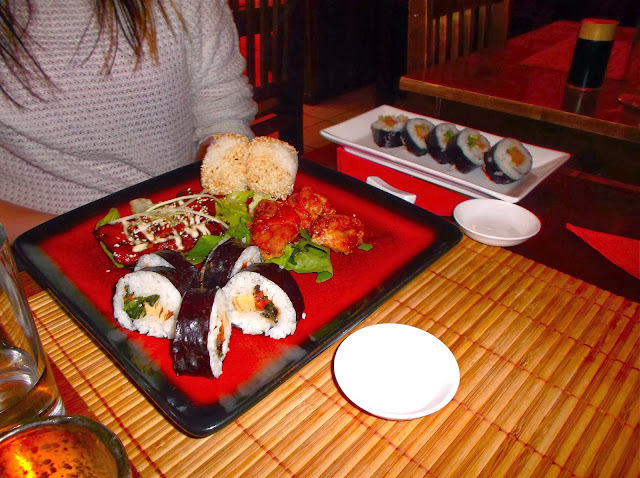 Jesska Denise: WA Café Sushiin Galway. How hungry does this picture make you? Oh nom nom nom. Ever since I had some of this delicious Sushi at 'WA Cafe' in Galway last month it's all I've been able to think about. My mother always warned me about trying out new foods that I can't get close to home. "You'll develop a taste for it and you won't be able to have it!" never has a truer statement been spoken. But look at it, it's so good. It was my first time having sushi. The names on the menu terrified me let alone the food. I didn't know what to go for so I went for the plate on the left which has four different fillings and some chicken teriyaki on the right. It was in around 15€ or there abouts for the two plates. My cousin and I split them between this and watched as the two of us failed to use some Chop Sticks. Everytime I think about it I laugh. Especially as she discovered a hatred for soy sauce and expressed her concerns over how it looked and tasted like melted down liquorice. 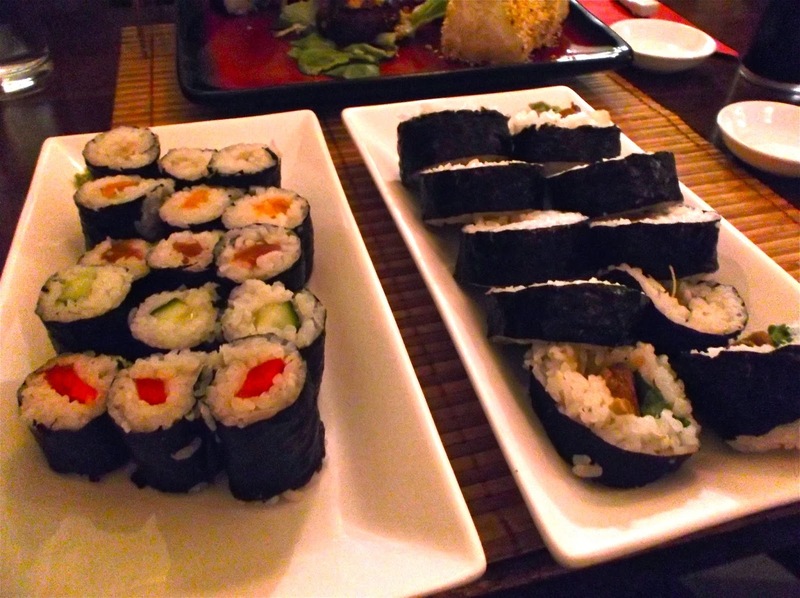 I know I should never click on blog posts with sushi featured - always makes me crave it even more. We're lucky in having three great sushi restaurants on our doorstep - and yeah once you try proper sushi by proper Japanese chefs - places like Yo Sushi just don't compare. Sushi is my weakness! For some reason I always avoid sushi, I really must try their veggie options and see what it's like!